A Gift Registry is a service where registrants (engaged couples, expecting parents, new home owners and many others) can create a list of desired items - This list is sent off to family and friends who purchase these items for the registrants. According to our research, the most popular reason why Gift Registries are used is to ensure the couple gets what they NEED. Gift Registries are essential to prevent decade long hoarding caused by receiving gifted items we never use. 1. Wrapped is similar to having a telepathic best friend who understands just what you need. We carefully curate the best items from all over the world and deliver them to your doorstep. It's a universal registry so you can register for anything - Cutlery, a Cooking Class, a Generator. 2. John Lewis, Macy's, Selfridges, Kitchens and Acccessories, Samsung, Cooking Classes: Let's talk about what you need! Items curated from stores, brands and experiences found across the world. Register for anything on Wrapped. Is there a specific item you need? Why not purchase a bespoke service so you can hand pick your registry so it's as specific as it gets. To add a bespoke service, search for 'Wrapped Bespoke Services' in our catalogue or simply click here. 3. We know recent regulations in Nigeria have restricted foreign spending and online transactions. Registering with Wrapped makes it more convenient for your guests; Pay in Naira and avoid constricting your foreign spending margin. 4. As easy as it is for guests within Nigeria and the rest of Africa to purchase gift items, it's just as convenient for guests all around the world. Our site accepts international cards as well as bank transfers and PayPal. Find out more about payment options in the GUEST section. 5. Are there guests who aren't acquainted with online shopping? If they contact us via e-mail, we can process their sale via bank transfer and send them a receipt. 6. If you need any help setting up your registry, send us an email and we will help you set it up free of charge! 1. Visit the Registry Vault or follow the link in the top left corner to Create a Registry. Follow the instructions and ensure you fill in every field (to avoid a form error). Registries can also be created by Wrapped on our backend; If you need additional help, please contact us. Once your registry is created, upload a photo, amend the name of your registry to your hashtag or include event information or a welcome message. 2. Click on the Catalogue in the menu to go through a large list of items and click 'Add To Registry' to add items to your registry. You may notice a pop up in the top right corner of your screen which is another way to add products to your registry. 3. After you have created your registry, Wrapped will contact you to confirm (a) How long you would like your registry kept open after the event, (b) To confirm your delivery address and the date of delivery; Registries stay open for a maximum of 3 months. NB: We deliver your items in ONE bulk delivery; If you keep your registry open for the 3 months allowed, we will deliver your gifts in one bulk delivery. If you would like your gifts delivered in more than one delivery, this will incur charges. 4. To share your registry with family and friends, click on the Manage Registry link in the Registry Vault, select the registry you would like to manage; When the registry page is opened, click share. 5. All your items will be delivered at once after your event to the address specified. If you would like your items split up and delivered in multiple groups, additional fees apply. 6. 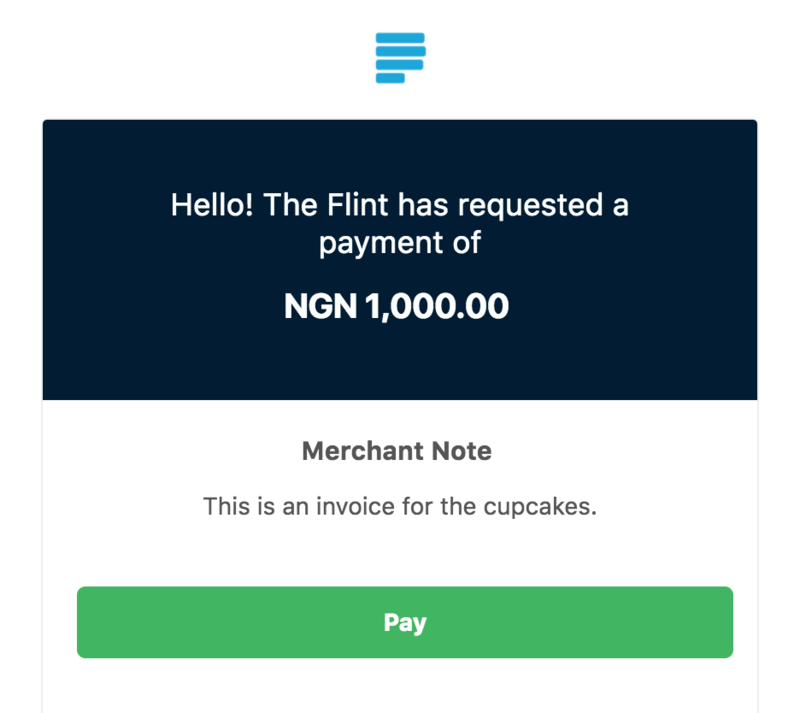 Wrapped accepts local (Nigerian) cards, International cards and Bank Transfers; We also accept payments via PayPal by sending you an invoice. Hi Wrapped, I Already Have A Gift Registry! Just let us know! We will transfer your registry to Wrapped as soon as you provide us with the required information. Yes it is, we do not pass your information on to any third parties (with the exception of the courier who requires the delivery address) without your permission and our staff must all sign non-disclosure contracts. I Would Like My Registry To Be Private. When registering, you can set up a password you will only provide to those you choose to. This ensures no wandering eyes end up on your registry. Can I Add Items From Other Stores & Websites To Wrapped? Yes, indeed! If you do not find everything you need in the Wrapped catalogue, please contact us. You may add unique experiences such as a specific activity at your honeymoon destination e.g. Skydiving. In the email addressed to Wrapped, (Subject: Bespoke Services) please include your desired items and the stores where they can be found. If you're looking for a product and can't find it in stock, we'll help you out! Please include your registry number in this email. What If I Change My Mind About A Product? You can change your mind as much as you need to! Once you log into your account, head to the Registry Vault to manage your registry and add, amend or delete items as you like. 1. On the Wrapped website: We accept payments from all the major Nigerian debit cards, international Visa/Mastercards. The purchased items will be delivered directly to the Registrants. 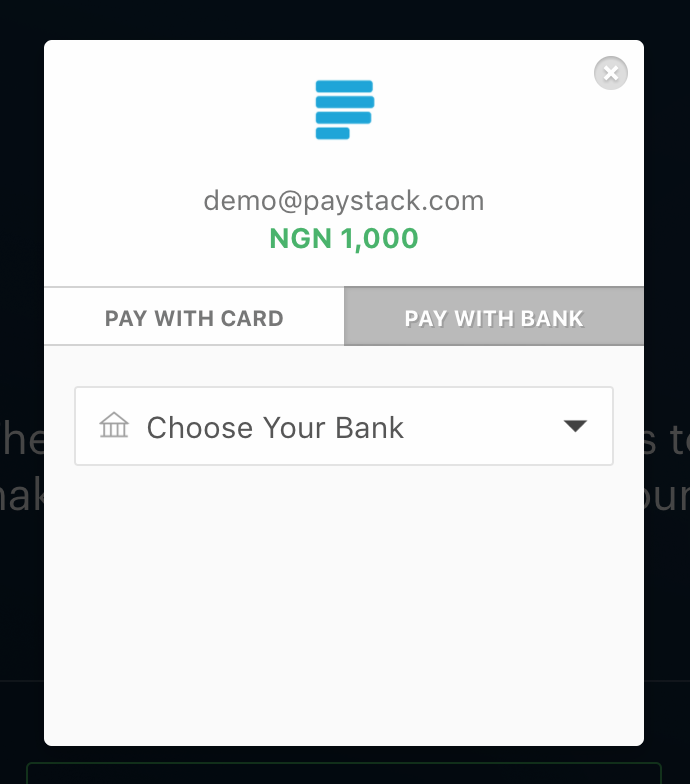 Our payment gateway also features a 'Pay with Bank' option so customers can pay you directly with a Nigerian bank account number. 2. Invoice: An invoice is generated by Wrapped Gift Registry which can be sent to the customer via email, Whatsapp or any digital medium of the customer's choice. A direct link is created where payments by card or bank transfer are accepted as found on the website. The customer selects the PayPal invoice payment method when checking out. We send the customer a PayPal invoice detailing the product(s) purchased and the amount due. The customer pays Wrapped through PayPal. The purchased items are delivered directly to the Registrants. Due to the restrictions of the Naira, we cannot process using the PayPal Express Checkout. and our PayPal transactions must be done via invoicing. *Stock is automatically amended once payment is confirmed. 1. If the product you would like to register for has Group Gifting, you will notice it also has several variants. Let's explain that in detail - A Sumec Generator 9.8KVA will state that the price is ₦ 98,000 but it will also have additional price options i.e. ₦ 20,000 , ₦ 10,000 etc. When adding this produc to your registry, you will add the main variant '₦ 98,000" as well as the other variants '₦ 20,000' , '₦ 10,000' to your registry. The Group Gifting comes into effect when multiple people are able to pay ₦ 20,000 or ₦ 10,000 towards your ₦ 98,000 Sumec Generator. You may get even luckier when a guest decides to pay the full price ₦ 98,000 towards the gift. 2. How many quantities should you add of the sub-variants? : In the product description, there will be a detailed explanation of how many quantities you should add to your registry. 3. What happens if there aren't enough contributions to purchase the gift? : You can either decide to contribute more money to purchase the item or you receive the cash that has been contributed towards the gift so far. If they contact us via e-mail, we can process their sale via bank transfer and send them a receipt. Am I Notified After Each Purchase? You will get an email each time a purchase is made! The purchase will be automatically reflected on your registry so you never get more than you need. Should I Send Thank You Cards? Yes! Wrapped will keep track of every purchase made for you from your registry and provide you with a list of people behind the kind gestures. We also sell thank you cards here. Expired: After the event date has passed. Available to public and Wrapped staff. Closed: Based on the time limit set by Wrapped. Only available to Wrapped staff. Every registry has an expiry date, which is the day after the date of the event specified by the registrant when the registry is created. When a registry expires, nothing changes, except a new 'expired' label on the Wrapped backend. The Registry can only be closed by the retailer. CATALOGUE: Browse Wrapped's catalogue of products; The two main categories are Bridal and Baby, but we have a few sub categories that make viewing products fun and convenient. REGISTRY VAULT: This is where you can FIND, CREATE & MANAGE all registries. CONTACT US: Need to get in touch? Head over to our Contact Us page. FAQ: All your questions are answered right here. The Registry Vault is the hot spot! Click on the Registry Vault in the menu in the header, then click on Find Registry and enter the name of the registrant you're looking for. How Do I Purchase Gifts? Once you are on the registry page, browse and note the products you would like to purchase. The last table heading to your right is titeld 'Cart'; See it? Now, add the quantity you would like to purchase in the cart space for that product i.e. Linsan Tower Fan - If you would like to buy TWO, then type 2 in the cart space for Linsan Tower Fan. Click on 'Update Cart' to ADD these items to your cart. You may also write a note to include with your gift before you checkout. Stock is automatically amended once payment is confirmed. Please allow a few minutes for the adjustment to be made. Yes it is, we do not pass your information on to any third parties without your permission and our staff must all sign non-disclosure contracts. Group Gifting allows you contribute a specific amount towards certain products with higher price tags. This means as many people can contribute towards that TV, Inverter Battery, Generator, Fridge or other item until the purchase is complete. Depending on the item your friend or loved one has registered for, there will be several options for the item on their registry e.g. You may see Samsung Fridge ₦ 10,000 - Samsung Fridge ₦ 20,000 - Samsung Fridge ₦ 30,000 - Samsung Fridge ₦ 150,000. The total cost of the Samsung Fridge is ₦ 150,000 because that is the highest price you see; However, you can contribute ₦ 10,000, ₦ 20,000 or ₦ 30,000 towards the item. When there are enough contributions to complete the purchase, the registrants receive their gift. Don't worry, they'll know each and every person's contributions; Your contribution will not be bundled into "One Samsung Fridge from multiple guests", it will be detailed including any messages or notes you left during your purchase. Are The Gifts Delivered To Me? No, they're not. The gifts are delivered directly to the registrants so you don't have to worry about logistics or anything. When you're checking out, make sure you enter YOUR details, not the registrants (we already have theirs). The registrants want to know who purchased these great items for them, so it's important we keep note of who purchased these items for them. Interested In Selling On Wrapped? Please contact us via e-mail with the subject "Vendor Interest"
Please contact us via e-mail with the subject "Press"
The Return policy for each individual item is determined by its manufacturer or vendor’s terms and not by Wrapped. Wrapped will provide you with a copy of the original receipt and therefore will not be liable in the refund process. Products manufactured by Wrapped (Milestone Cards, Logos etc) are not eligible for a return. To be eligible for a return, the manufacturer or vendor usually has conditions to meet their terms. For example, the item(s) must be unused and in the same condition that you received it. It must also be in the original packaging. However, the conditions vary depending on the vendors. Typically, several types of goods are exempt from being returned. Perishable goods such as food, flowers, newspapers or magazines cannot be returned. We also do not accept products that are intimate or sanitary goods, hazardous materials, or flammable liquids or gases. A replacement is applicable from Wrapped or the Vendor if you receive a physically damaged item (i.e. an item was damaged during shipping). All physical damage should be reported to Wrapped within 24 hours of your items being delivered to you. To return your product, you should mail your product to the manufacturer or vendor. If you need their mailing address, we can provide you with it. If you wish to return an item of jewellery or a watch which has a value of over £500, please take it back in person to a John Lewis & Partners shop and not by post or courier. Please be aware that we'll only process your refund once the item has been returned to and checked by our specialist; this can take up to 14 days. We’ve extended our usual limit for returns just for the festive season. You can return any gift you buy 21 October - 24 December up until 28 January if it’s unwanted or unsuitable. If you’re buying in store, please ask for a gift receipt so that the recipient can also return the present. We’re sorry that we can’t provide gift receipts for all online orders, but if it's available, you'll be offered the option in checkout to remove prices from the delivery note.